If you're over the moon for Meltan, here's how you can grab one of your very own. Recently, a new Mythical Pokemon by the name of Meltan was announced, resembling a Ditto with a bolt on its head. 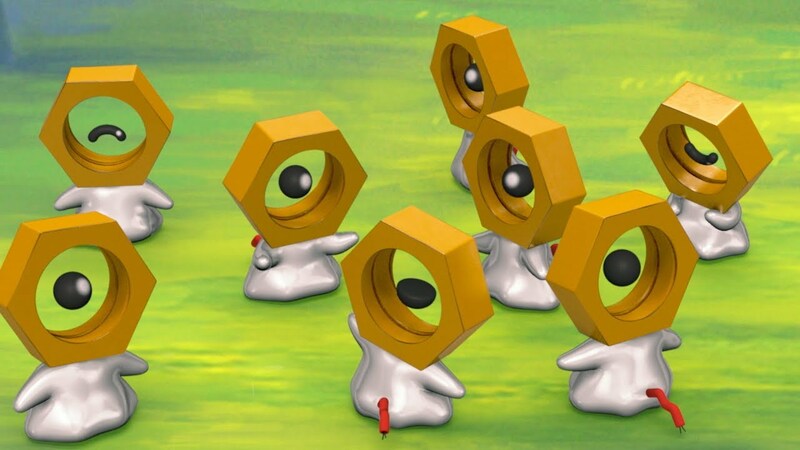 The so-called "Hex Nut" Pokemon can be found in Pokemon Go right now, and will be making its way to the Pokemon: Let's Go, Eevee! and Let's Go, Pikachu! editions for Nintendo Switch. However, there's a way you can bring Meltan from your Pokemon Go game over to the Let's Go series, if you so choose. Thanks to "research" from Professor Oak and Professor Willow, it's possible to bring Pokemon Go's Meltan into the game with new Special Research tasks coming to Pokemon Go this winter. How to get Meltan in Pokemon: Let's Go, Eevee! and Let's Go, Pikachu! When you send Pokemon from Pokemon Go into Pokemon: Let's Go, Pikachu! and Let's Go, Eevee! you will get certain items in the app, like candies, based on the Pokemon you send over to the game. The first time you send over a Pokemon from Pokemon Go to Pokemon: Let's Go (in either game) you'll get a Mystery Box. Wen you open the Mystery Box, you'll start seeing Meltan in-game. You can try to catch it just like you can other Pokemon, and when you capture it, you'll see it transferred to a GO Park in the Let's Go! games. You can also get a Mystery Box for sending a Pokemon to another friend's game. When you use the Mystery Box, it will close and will only reopen again after a set period of time. Then you'll need to send a Pokemon to your own or a friend's Let's Go! game. Seems like a fairly simple process. Pokemon: Let's Go, Pikachu! and Let's Go, Eevee! will be coming to Nintendo switch this November 16. There's plenty of time left still to decide which version you want, thankfully, so make your decision and lock it in so you can grab a Meltan, too! For now, enjoy footage of these little guys romping around in their natural habitats – wherever you happen to be!